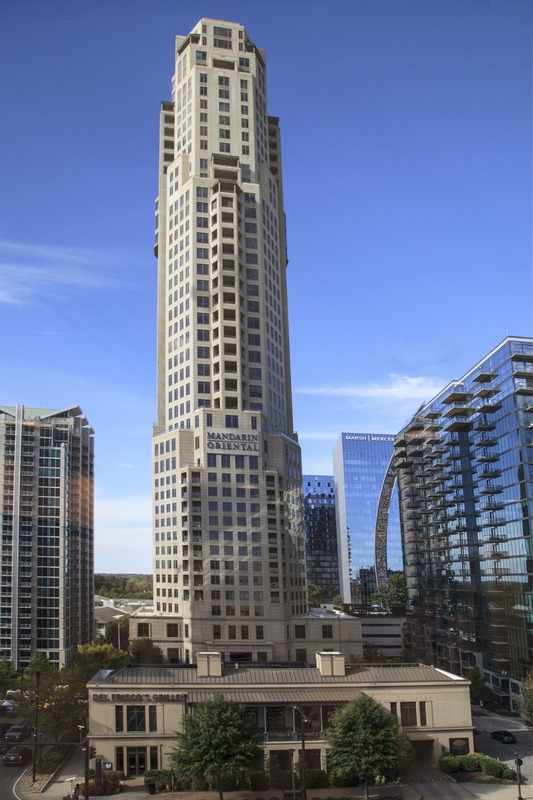 The award winning Waldorf Astoria Hotel, formerly known as Mandarin Oriental Hotel, is located in the Buckhead area of Atlanta, a vibrant commercial and residential area of northern Atlanta. 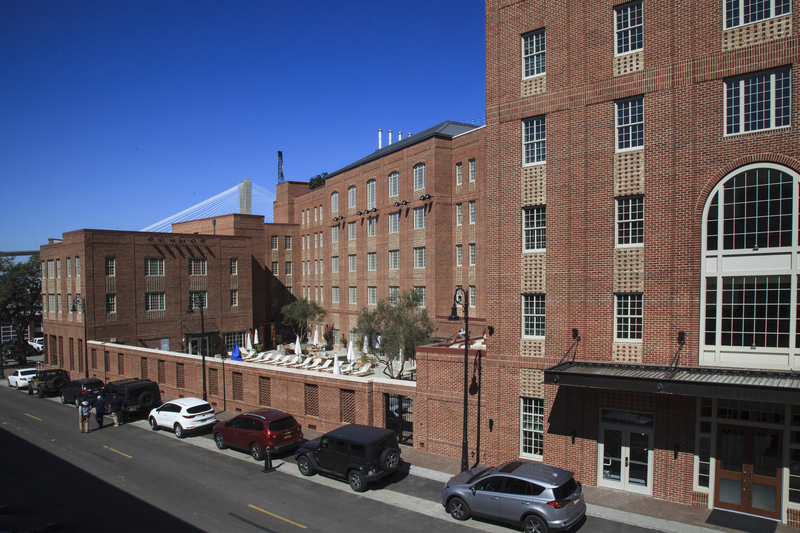 The 5-star, 127-room hotel is located on 16 floors above three floors of structured parking structure and includes a full service spa and stand-alone fine dining restaurant. Above the hotel are 45 condominium units on 26 floors. 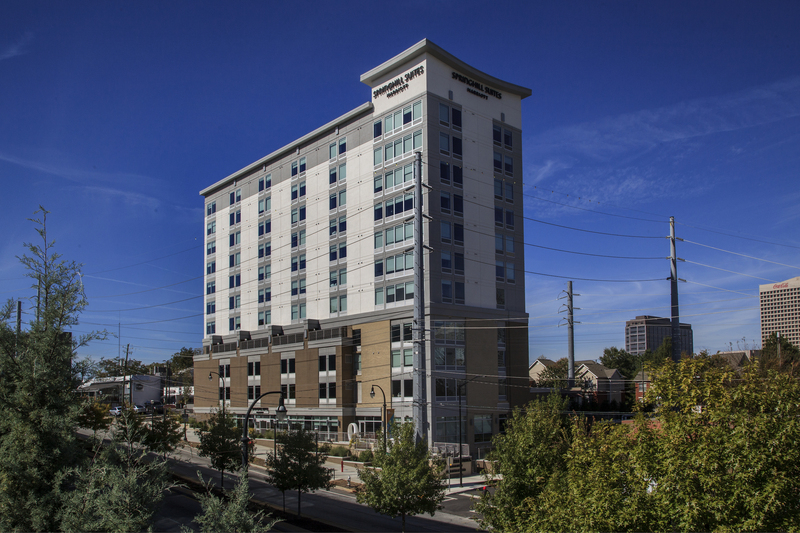 The 137,584 square foot, 12-story Springhill Suites hotel is ideally located near the Georgia Aquarium in downtown Atlanta. The full service hotel has 146 rooms with a 100 car, 4 level parking deck. Streetscape improvements were made to Ivan Allen Jr. Boulevard to enhance the pedestrian experience adjacent to the hotel building. The Alida, formerly the Hotel at 412 Williamson, is a 173 room, 162,000 square feet boutique hotel located in Savannah’s Historic District. The hotel includes a signature restaurant on River Street, rooftop event space and bar, fitness area, pool, and lobby bar. Streetscape improvements were constructed as part of the project as well as monument stairs providing a critical pedestrian connection between Williamson Street and River Street.